The last week of August was used for realization of several activities organized by the Association of Scouts of Montenegro. Training for Scout leaders, with 60 participants, was held in the period August 23-28. A national gathering, with 300 Scouts participating was held on August 28-31. 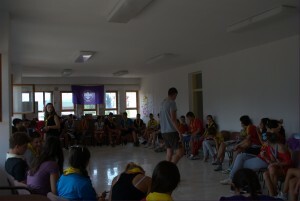 Scouts from Croatia, Bosnia and Herzegovina and Serbia were also participating.